With organic reach continuing to decline, it seems everyone is looking for simple ways to improve their Facebook business page’s performance. The simplest and quickest way to do this is always going to be to pay – whether that be by boosting posts or paying to promote your page. Compared to traditional advertising forms there’s no doubt that Facebook advertising represents good value, however, there are also some steps you can take that cost nothing and can improve your reach right away. 1. 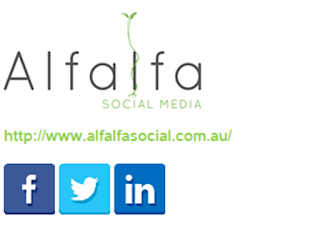 Add your social media details to your email signature. How many emails do you send every day? If you’re like most people operating a small business, chances are you send a fair few. 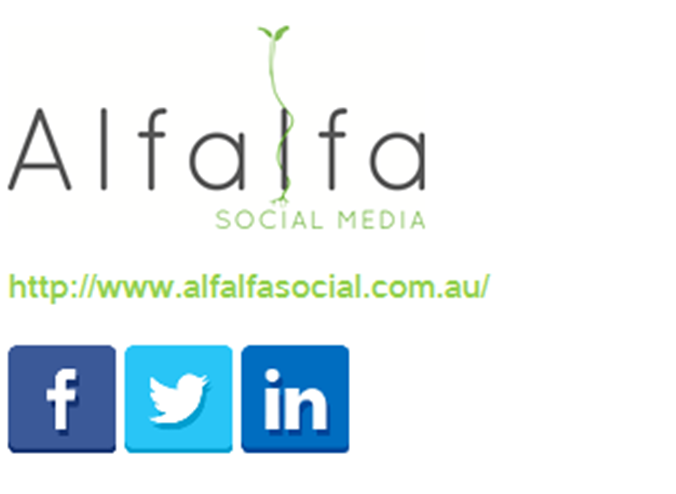 By adding your social media icons to your email signature, each email you send promotes your social media presence. 2. Be useful. Make your social media feed informative and give people a reason to visit. Showcase your knowledge and expertise in your area. Regular, useful and entertaining content that encourages interaction will help your page stay visible in people’s Newsfeed. Offering exclusive social media only content and offers, ie. a discount code, the first to know about new products or promotions will encourage people to check your feed often. 3. Put the "social” in social media. Don’t let your social media usage be a one way street. Comment on other pages, respond to comments on your page and encourage a discussion. We’ve all been to a party where we’ve been stuck with that person who talks about themselves all the time. Don’t be that guy. 4. Optimise your social media profiles. Got a LinkedIn profile, a Facebook page, a website and a Twitter feed? Make sure each profile references the other and encourage those who follow you on Twitter to also visit and like your Facebook page. 5. Leverage your networks. There’s no shame in inviting your friends, newsletter subscribers or colleagues to Like your Facebook page or follow you on Twitter. You could even ask your friends to share your page. Don’t be too spammy though! Asking every now and again is okay, asking every week is not. These five steps are simple and easy to implement and the good news is that the principles apply to all social media platforms.